THERE’S NO DENYING THAT ASTRONOMERS GALILEO AND COPERNICUS WERE WAY AHEAD OF THE REST IN THEIR MATHEMATICS CLASS. GALILEO DEVELOPED THE TELESCOPE AND COPERNICUS DISCOVERED THAT THE SUN WAS THE CENTRE OF THE UNIVERSE. 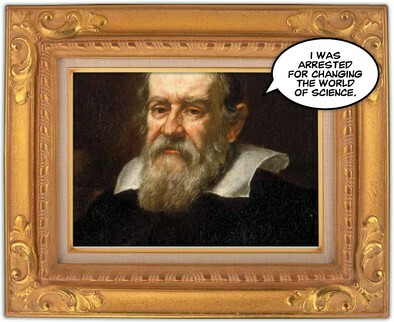 BUT THIS MONTH’S QUESTION IS: WHO LEFT THE BIGGEST IMPRESSION ON THE WORLD OF SCIENCE?